Neal James will be signing copies of his four published books. If you are unable to attend an event. Waterstone's can often reserve signed copies. Please contact the host shop for details. 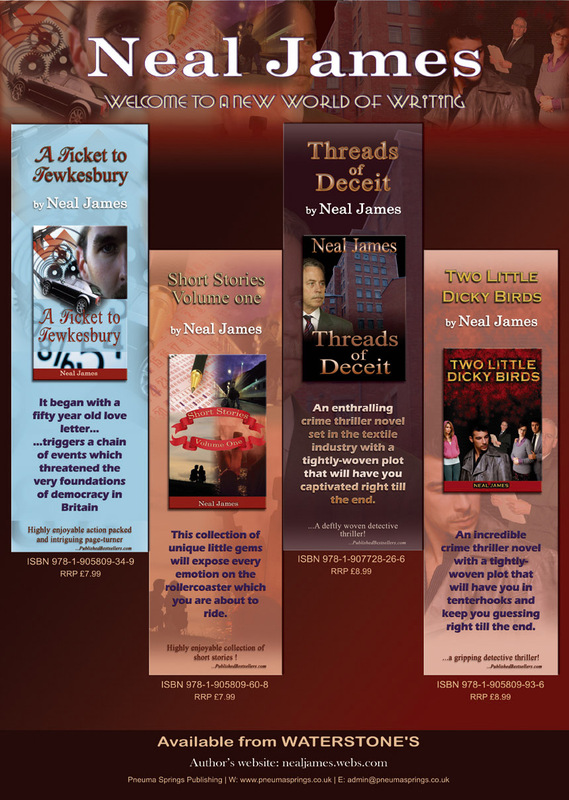 Neal James is the author of four books: 'A Ticket to Tewkesbury', 'Short Stories - Volume One', 'Two Little Dicky Birds' and 'Threads of Deceit'.